Museum Advocacy Day began yesterday and is in full swing today. Thousands of museum professionals have convened in Washington in the hopes of swaying legislators to continue supporting those federal agencies that fund cultural institutions. Here on Jones Street, our North Carolina legislators have also been grappling with recommendations to close museums around the state and to make further cuts to staff and budgets. In direct expenditures alone, museums annually inject more than $20 billion into the U.S. economy. America’s estimated 17,500 museums employ more than 400,000 individuals. And perhaps most compelling in these times of tightening local budgets – and the slash and burn approach to budgeting at the federal level — was a recent U.S. Council of Mayors study that found that, for every $1 invested in cultural institutions (including museums), municipalities saw $7 in tax revenues come into their coffers. And that astounding return is due to the thriving cultural tourism industry in our country. According to the U.S. Department of Commerce, cultural tourism accounts for $192 billion in economic activity annually. And many of those monies are spent with the local eateries, the local bed and breakfast, or the local gift shops in communities across the country. And museums have long been cultural destinations in and of themselves. Trips including cultural and heritage activities comprise one of the most popular and significant segments of the travel industry, accounting for 23% of domestic trips. And clearly those trips generate economic activity for local businesses. Visitors to historic sites and cultural attractions, including museums, stay 53% longer and spend 36% more money than other kinds of tourists. How do museums generate such economic benefits? Their enduring popularity continues to grow, as institutions diversify and engage communities. Nationwide, there are an estimated 850 million museum visits each year – that’s more than attendance at all professional sporting events and theme parks combined. Assessments of the economic impacts of North Carolina’s cultural tourism are equally (and in some ways even more) impressive. Studies indicate that cultural tourists to NC spend twice as much as regular visitors. State University tourism research entities and our own Department of Cultural Resources need to continue to collect similar quantitative data about the rates of visitation (both local and out-of-state) and the economic impact of our state’s nearly 1,000 cultural heritage institutions as well as its huge variety of festivals and other cultural events. This evidence will help assure legislators that cultural funding is a smart investment in North Carolina’s communities and future. 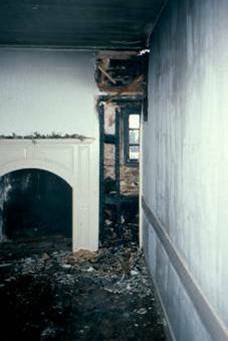 Palmer-Marsh House after a 1989 fire. 1. Make sure fire alarms and smoke detectors exist and are functional. 2. Keep fire extinguishers in accessible locations and make sure they have not expired. 3. Inspect electrical wiring and systems regularly. 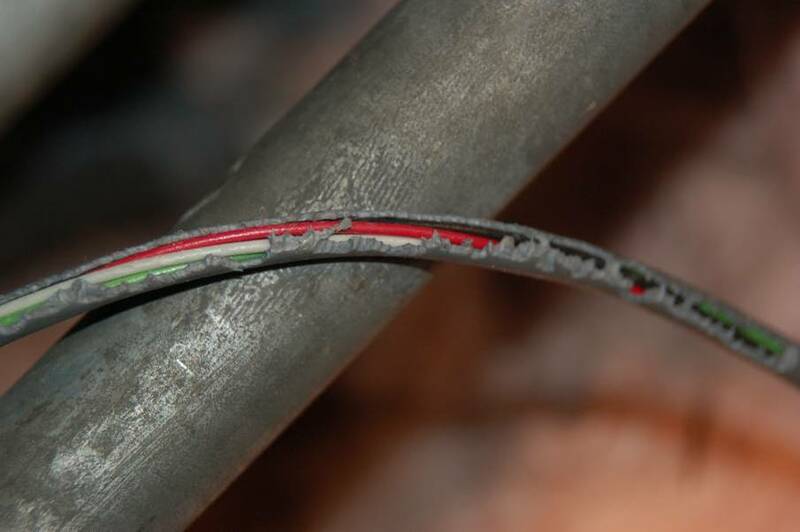 Squirrels and other rodents can chew through cords and wires quickly. 4. Replace old breaker systems and post mapped out functions for each switch. 5. Install a master switch to shut off power to all outlets except climate control and security systems and emergency lights. This measure is especially useful in historic houses that may rely on multiple lamps in various spaces. Thomas worked with one site to install this switch and it cost about $600–well worth the added convenience for staff and the added measure of fire prevention. 6. Change air filters regularly. Not only do dusty filters reduce the climate control system’s efficiency and raise costs, but build-up also risks ignition and is a fire hazard. The cause of the 1989 fire in the Palmer-Marsh House was determined to be an overheating of the climate control system. 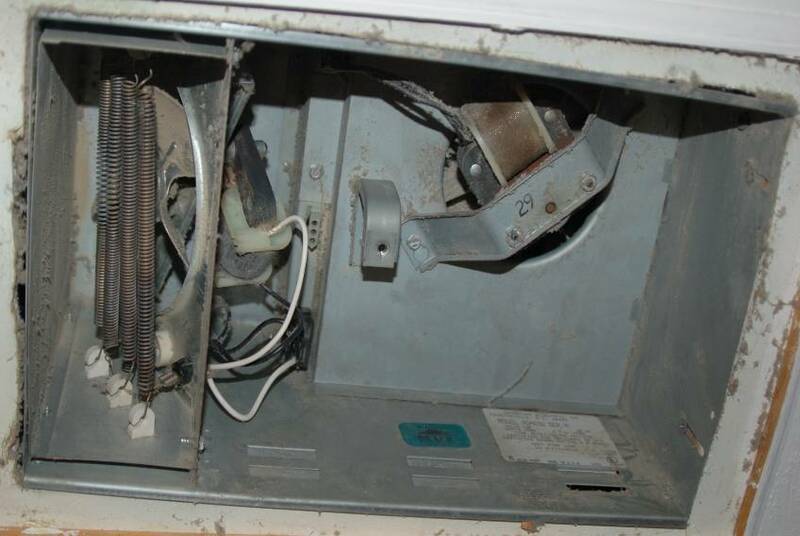 Restricted air flow from dirty filters can lead to system overheating. 7. Similarly, clean exhaust fans in bathrooms and elswhere annually to limit dust accumulations. 8. Store flammable materials, such as paint, ethanol, and other cleaning chemicals, in a metal cabinet specially designated for that purpose. 9. Work with local fire officials to install a knox box to store keys, floor plans, and any other important information to share with responders in the event of a disaster. 10. Two floor plans are especially useful: one showing all access points (doors and windows) and noting which are original and which are reproductions. If firefighters have to break in, the floor plan will help them prioritize access points. The other floor plan should indicate locations for the institution’s priority artifacts. 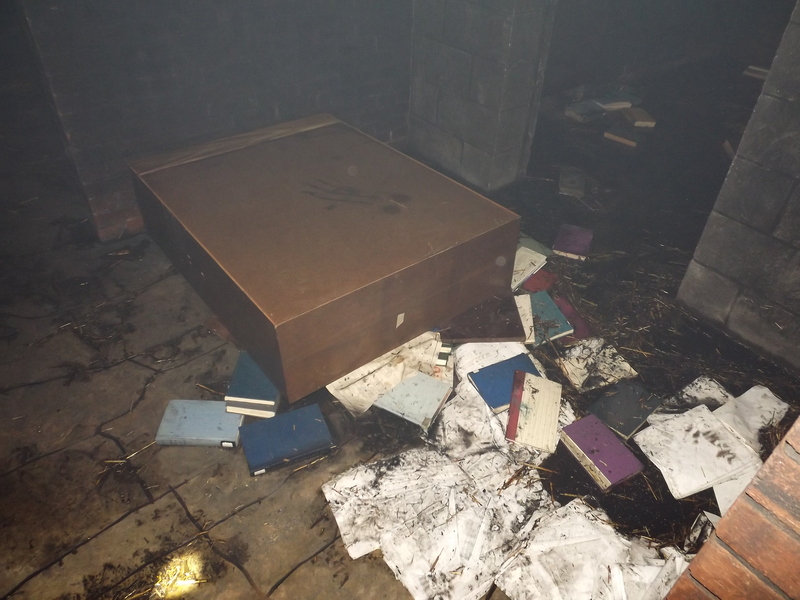 If there is time to save anything, firefighters will know which objects are the most important and where to retrieve them. C2C's Disaster Preparedness Coordinator, Matt Hunt, led the workshop. 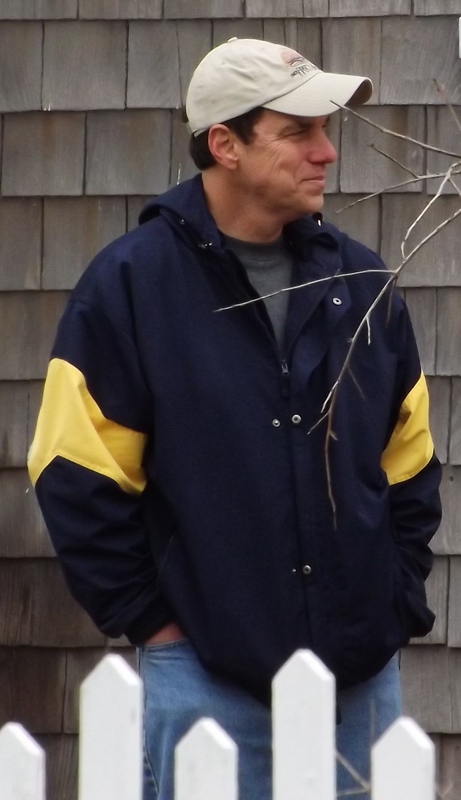 Hunt is a trained fire engineer, firefighter, emergency medical technician, and Incident Command Systems instructor. How can we prepare workers in North Carolina’s cultural heritage institutions to recover from disasters without practice? 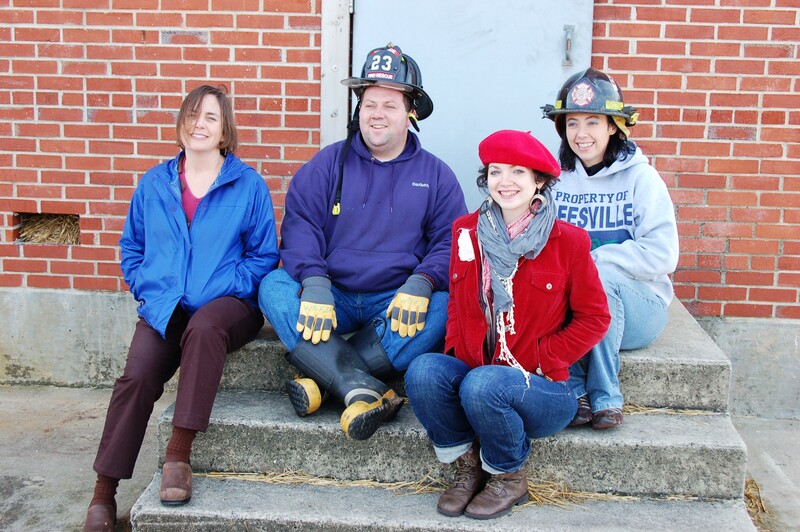 Heritage Preservation offers several great training materials, including the Field Guide to Emergency Response and the “Emergency Response and Salvage Wheel,” but there is no substitute for real, hands-on experience. During the inevitable period of panic after a disaster, responders are able to draw from knowledge they have gained through practice much more readily than from information they have absorbed from readings or a-v materials. In order to practice response and recovery techniques, C2C developed a controlled burn exercise that functioned as a major training event—not only for those participants from North Carolina’s cultural heritage institutions, but also for firefighters on the Outer Banks. 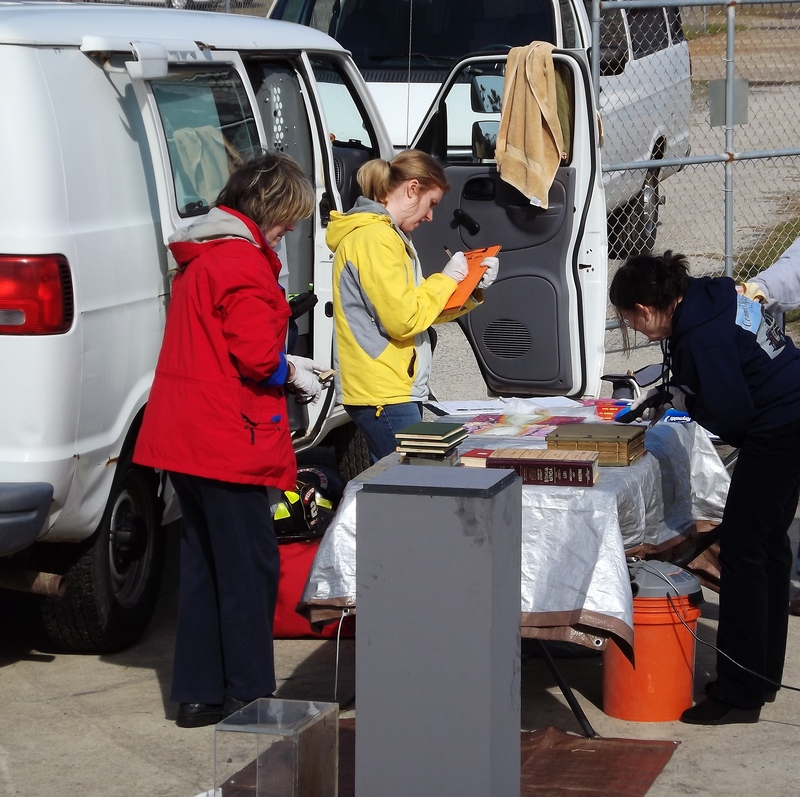 In preparation for the workshop, C2C staff members gathered materials to burn in a staged museum setting at the Buxton Fire Department’s fire training facility on Hatteras Island. We purchased sets of shelves and a metal storage cabinet from state surplus and a variety of metal objects from thrift stores. Cast-off items (especially deaccessioned books) from NCDCR offices and elsewhere rounded out what we termed “the Burnsville Museum.” We inventoried and numbered over 120 objects for this “museum” collection. 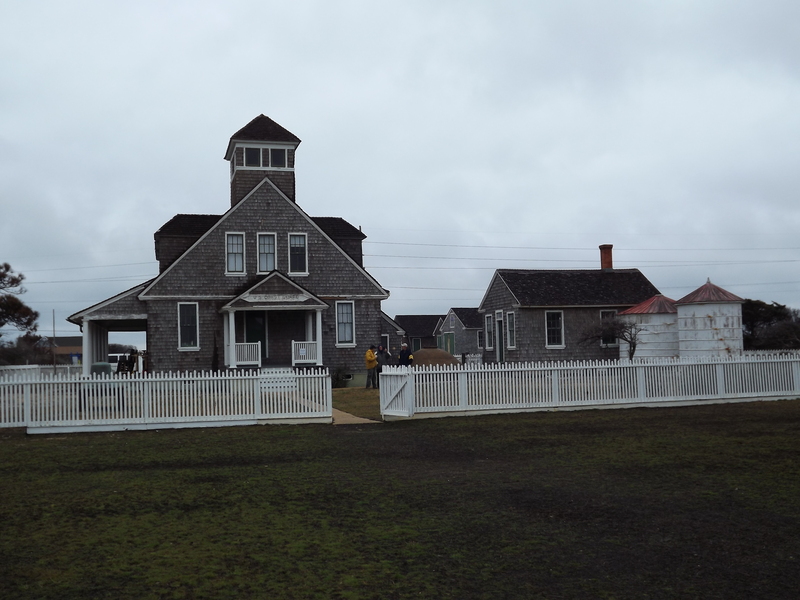 In early February we loaded the Burnsville Museum into a state cargo van and drove to the Outer Banks. The day before the workshop C2C’s Matt Hunt and NC Museum of History’s John Campbell set up the shelving units and arranged “museum” objects inside and around the casework. On the afternoon of February 6th, 10 participants joined with C2C staff for a Fire Disaster Recovery Workshop. 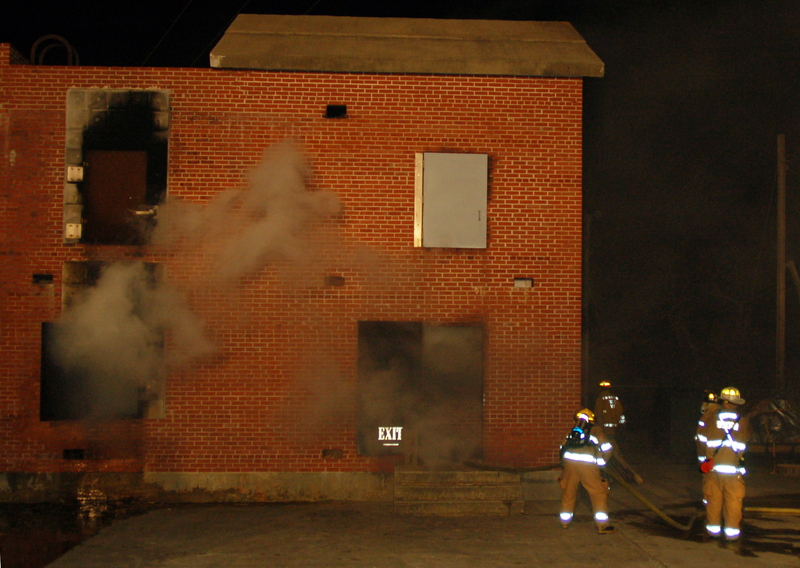 The event began with an overview of fire, common causes in historic buildings, and recovery techniques. Next, Martha Battle Jackson, Curator of NC Historic Sites, presented on her experiences during the aftermath of the devastating fire at the Thomas Wolfe Memorial in Asheville in 1998. After a dinner break, our group re-convened at the Buxton Fire Department, where administrators and firefighters-in-training had already gathered. 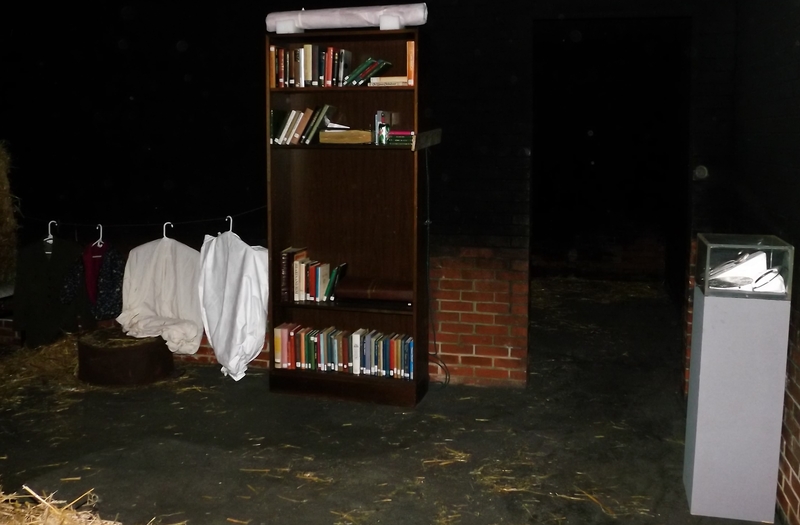 For the next two hours, firefighters lit various fires in rooms adjacent to the “museum” storage areas. 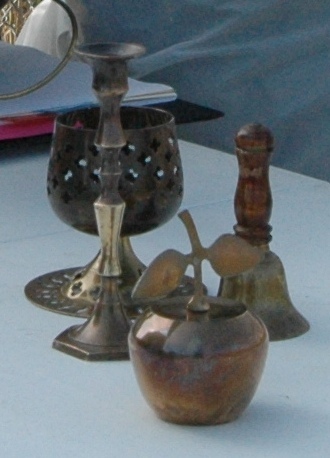 None of the materials we had prepared burned up in the fire, but most suffered damage from soot, ash, and/or water. The next morning our group began to sort through the mess and practice recovery. After the triage process, teams brought items out of the dark, sooty burn facility and into the open air. Collapsible tables and tarps formed work surfaces and spaces for air drying. 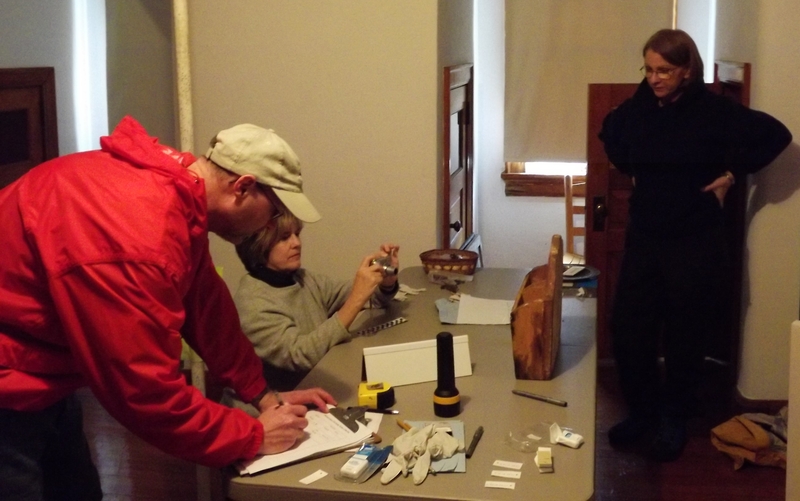 Participants filled out worksheets on each item as they inspected and treated it, recording accession number, condition, and any recovery activity. Our group divided into 3 teams, with Jackson and C2C staff serving administrative roles, according to Incident Command Systems protocol. All participants practiced a variety of important recovery techniques. 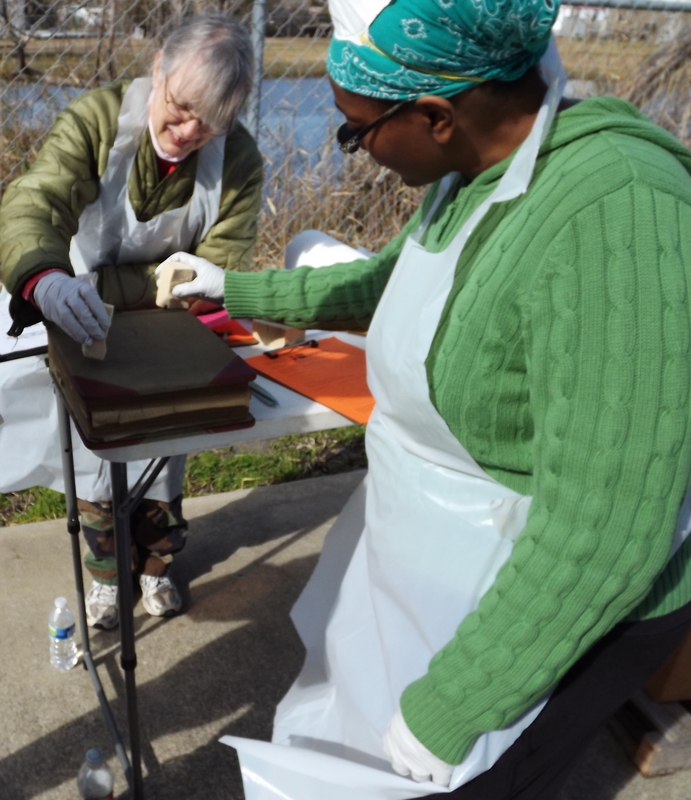 Andrea Gabrielof the NC Archives, Meagen Wilson of Wayne County Public Library, and Mary Ellen Riddle of Roanoke Island Festival Park document and vacuum recovered books and an oil painting. 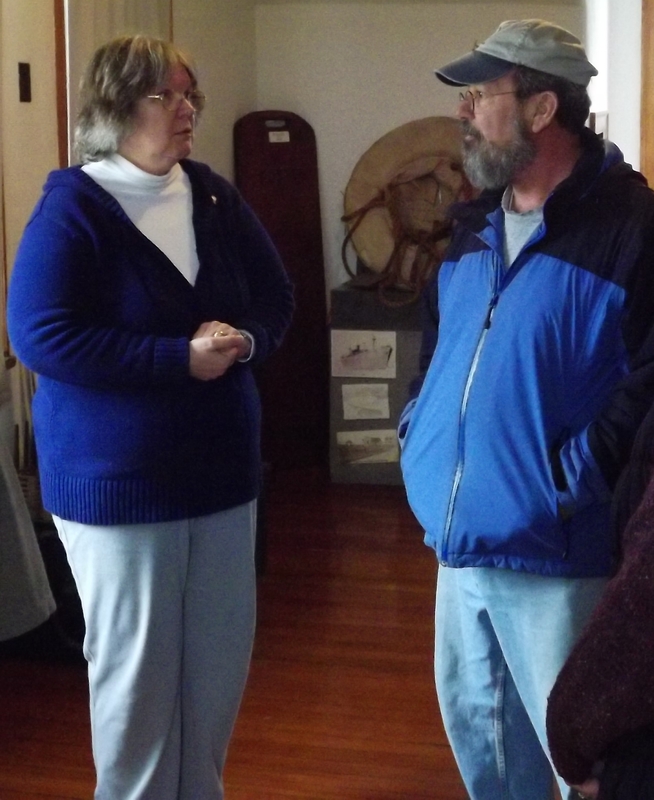 Frances Hayden of the NC Maritime Museum, and Nicolle Johnson of Wayne County P.L. 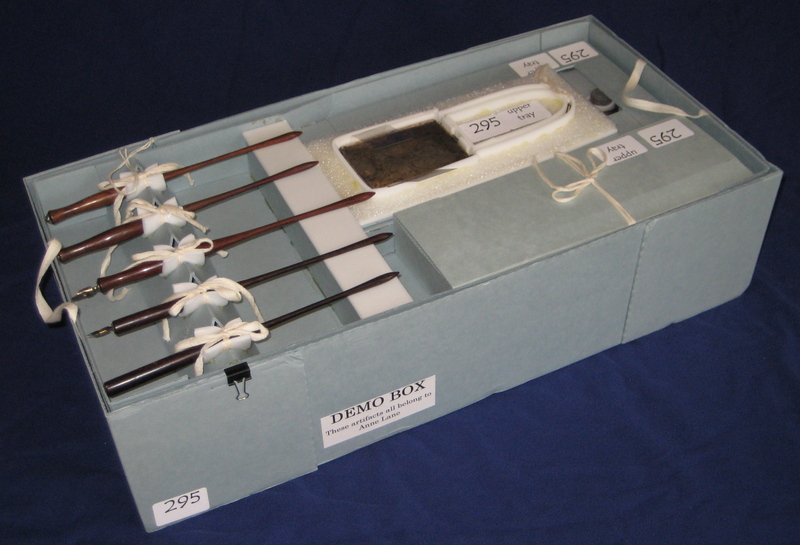 blot a large ledger book with soot sponges. 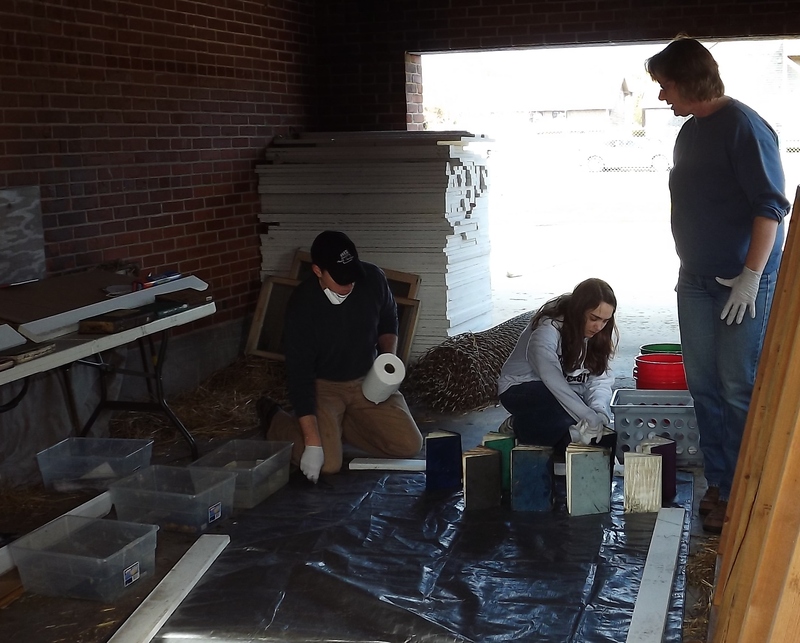 NCDCR’s Reid Thomas, UNC’s Jacqueline Chapman, and Old Salem’s Michele Doyle work in a shed area to rinse, interleave, and air dry sooty books. We hope the experience gave all participants a good basis to write or revise relevant disaster plans for their institutions and to be able to initiate appropriate recovery actions if necessary. Are you interested in participating in a similar hands-on burn recovery? Stay connected with C2C! We’re hoping to schedule another in Fire Disaster Recovery workshop in Asheboro later this spring. While most of our group escaped the dreary day by working busily inside, Reid Thomas and others inspected the site's structures. On February 5th C2C multiplied by coordinating a collaboration for Chicamacomico Life Saving Station (C4C). The site had suffered a good deal of damage in August 2011’s Hurricane Irene. Staff members from across North Carolina’s Department of Cultural Resources joined together with local National Park Service staff, students and instructors from Edgecombe Community College’s Historic Preservation Technology program, and other volunteers to focus on Chicamacomico’s imperilled artifact collection. A total of 20 workers devoted an entire Sunday to help the site. Though the force of the hurricane lifted several of Chicamacomico’s buildings off their pilings, the collection objects inside did not sustain direct damage. 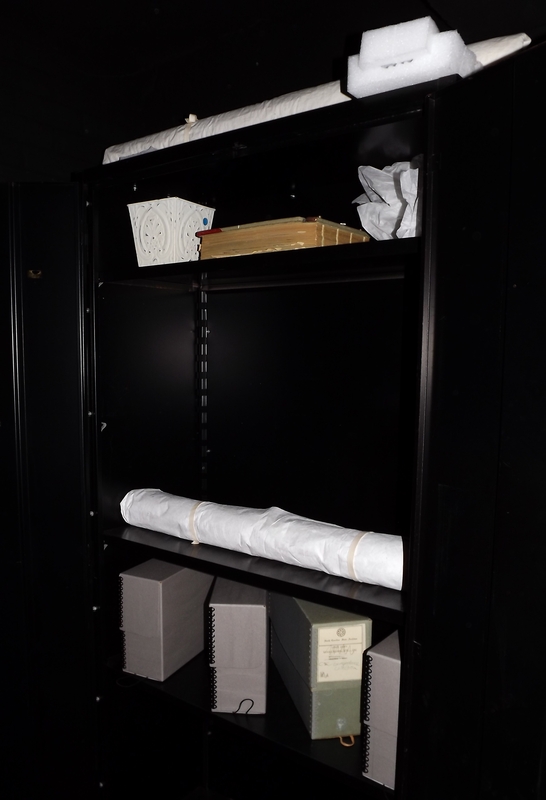 An inventory constituted the collection’s biggest need and a primary disaster preparedness measure. In addition, a lack of climate control continually threatens those objects, such as wool uniforms and corroded metals, that are especially susceptible to high RH levels. 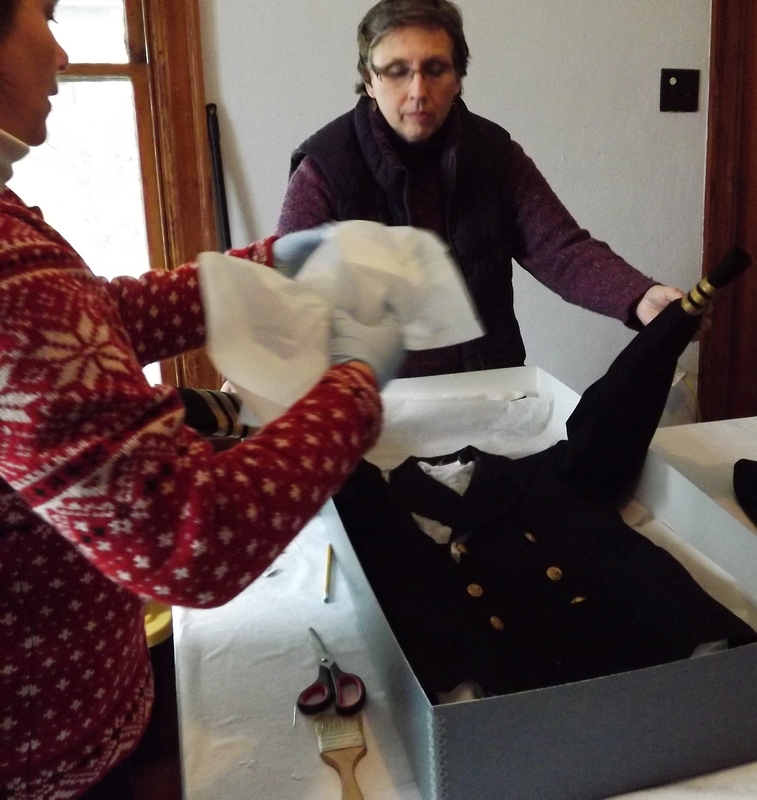 Martha Battle Jackson, Curator for NC Historic Sites, led the charge by developing a numerical tracking system to apply to each object during the inventory. Because many of Chicamacomico’s records are stored at the Outer Banks History Center, there is a chance that some collection objects can be matched later with accession information and eventually receive accession numbers, reflecting the years of their donation. 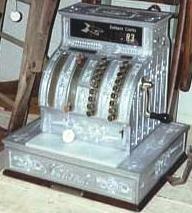 Jackson worked with Chicamacomico’s Site Managers James Charlet and Linda Molloy to designate numbers for the teams of inventoriers to assign to individual artifacts. 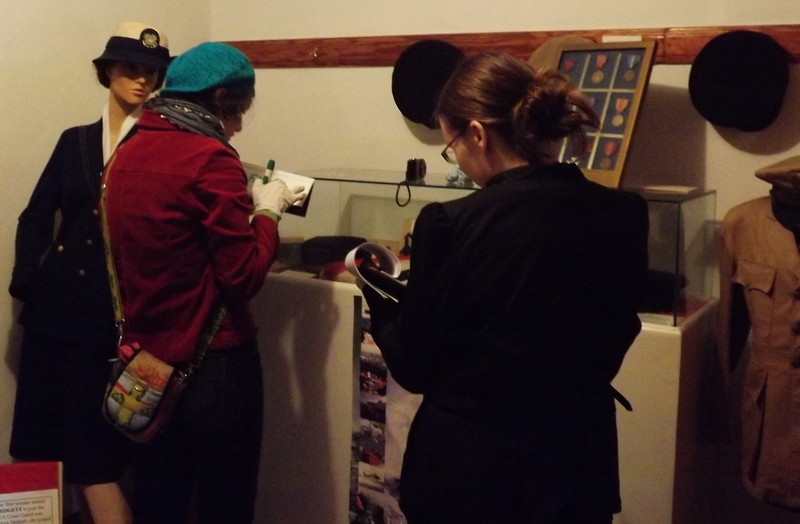 C2C's Michelle Vaughn paired up with Lida Atkinson to inventory objects on exhibit. Pairs of inventoriers worked steadily throughout the day and documented nearly 250 objects. 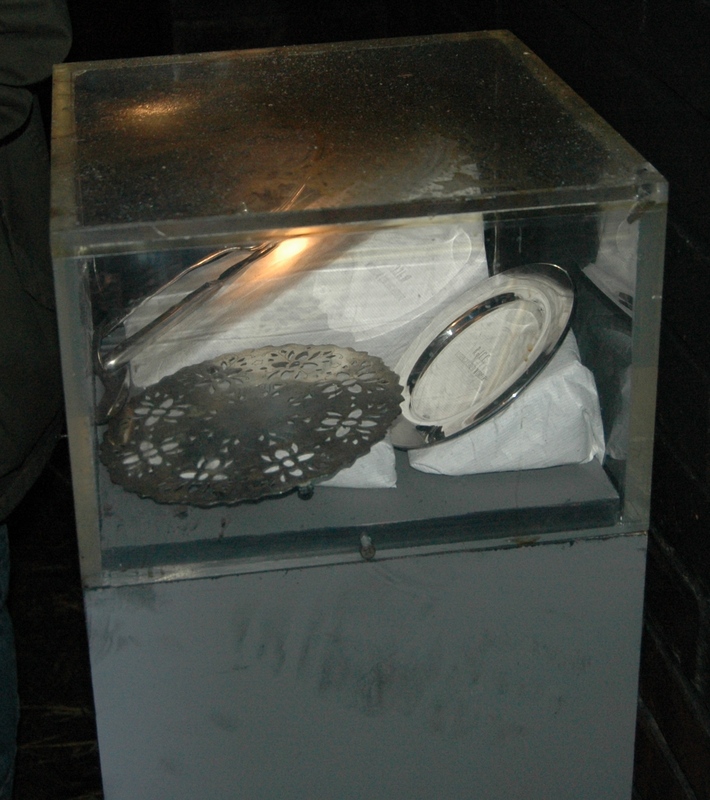 Many of the artifacts were in exhibition cases and could not be tagged. Instead, teams photographed and recorded each one on worksheets for later entry into a database for Chicamacomico. John Campbell records while Andrea Gabriel photographs and Linda Molloy advises. Several of the site’s closets contained stored collection items. In those cases, inventoriers tied tyvek tags, marked with zig pens, to each object with Glide dental floss. 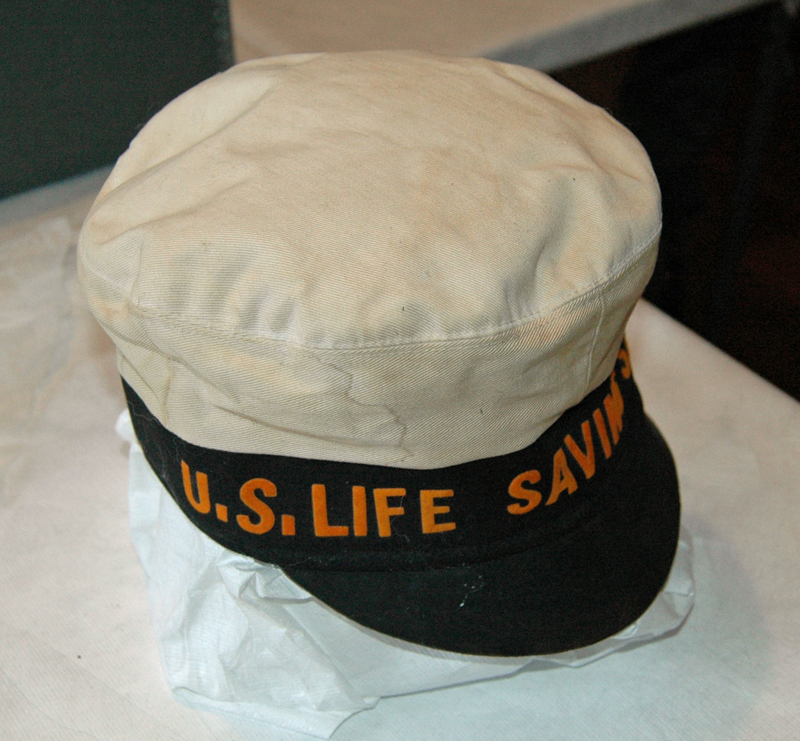 According to the tracking number system, each number began with “CLSS” (Chicamacomico Life Saving Station), followed by a letter indicating the building location, a number indicating a room within that building, and a sequential number within that room. 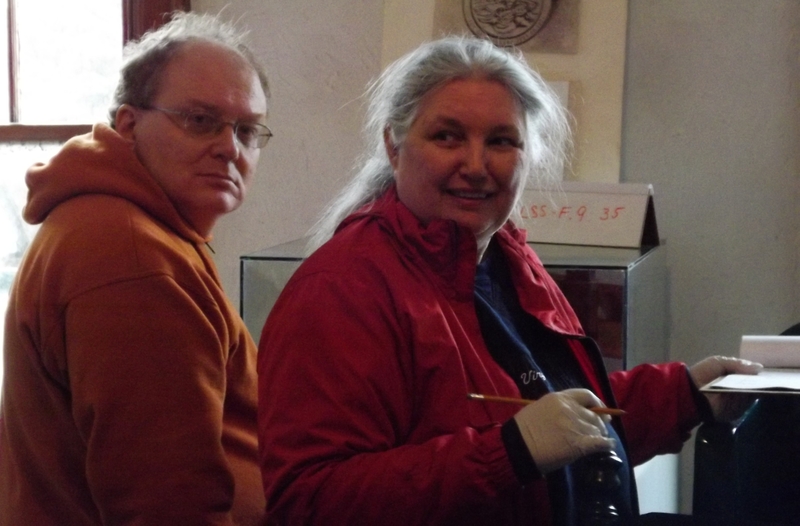 A tracking number is visible behind inventoriers George Strawley and Monika Fleming. In these days of budget shortfalls and downsizing, finding funds to keep cultural heritage institutions afloat is a tremendous statewide (and field-wide!) challenge. All organizations must strive to demonstrate the value they add to communities, by quantifying the numbers of people they serve and by gathering more qualitative information. Such gauges of institutional efficacy are important for potential funders. Richard Burkert, President and CEO of the Johnstown (PA) Area Heritage Association recently reported on his institution’s Recession experience. “After two years of exploring ways of augmenting the revenue side of our operation, we have returned to the notion that we will survive only if we can find adequate community support. Our projects have been competitive for support from regional and even national foundations, but local support has not been cultivated in a systematic manner.” His conclusions, despite a fairly successful capital campaign and dramatic increases in visitation, are sobering. How can North Carolina’s museums and historic sites seek and find local support? One way may be to convince county government officials to contribute a percentage of tourist occupancy tax revenues to cultural institutions. This strategy has been successful in DesMoines, Iowa, where an area consortium funds a local cultural grants program through occupancy tax revenues. In order to initiate a similar program: 1.build a local or regional network—something C2C has encouraged for disaster preparedness and supplies-sharing purposes. Several of these are growing successfully in the mountain region, Charlotte, the Triangle, NE and SE NC. Some focus on mutual professional assistance, while others exist to promote regional tourism. 2. Work on tracking the numbers of non-local visitors to your site and other institutions within your local heritage network. 3. approach local governing bodies with requests for a perpetual line of funding, backed up by evidence of your institution(s) community value. Tourism dollars usually benefit hotels and restaurants most directly. Tourism-related tax revenues ought to support the services (roads, sewage systems, etc.) that facilitate those activities. Cultural institutions can and should attract tourists, even as they nurture their own communities. The quantitative and qualitative information you gather may help convince local officials that it is in the community’s best interest to help sustain your organization. Do occupancy tax revenues help fund your organization? Has your regional cultural heritage network investigated this possibility? A&B Store Fixtures has outlets in both Greensboro and Raleigh and carries several products with great potential for both collections storage and display. Recently, our staff took a field trip to the inside-the-beltline Raleigh location and was impressed by the large variety and reasonable prices. All items we surveyed had lower prices than online comparisons, and if you can schedule a trip to one of these stores, you will avoid shipping costs. Five products seem particularly useful for collections purposes. Several participants at C2C’s November “Exhibits Bootcamp” workshop recommended this store as a low-cost place to buy manikins. (Most are $100 or less.) Many of these are faceless, fabric-covered clothing forms that work well in museums, since they can be padded out according to preservation guidelines for particular costumes. Also, faceless forms do not draw attention away from the artifact, as more typical department store manikins might. Bob Hopkins, Exhibitions Coordinator at the NC Transportation Museum and one of the leaders for C2C’s exhibits workshop, recommended another product that A&B carries. A glass display cube consists of panels of tempered glass and chrome-plated metal connectors. Both materials are preservation appropriate. According to Hopkins, the versatility of these items is their biggest asset. A six-paneled cube can function as a riser block or be reconfigured into several shelves. The material’s transparency can also be an advantage, as in this display of colored glass. 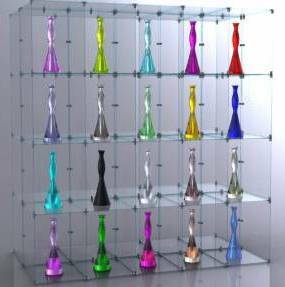 Acrylic stands in various sizes are also useful and safe for a variety of artifact display purposes. Metal hanging racks on casters can be flexible elements in costume storage. Coat hangers are also available at A&B at considerable savings. These are made of sealed maple and have wide, rounded ends. Along with padding, the shape will maximize support for costumes in hanging storage. 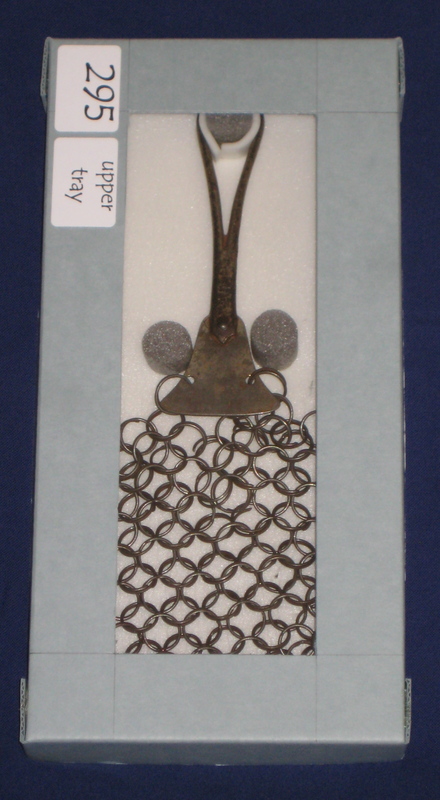 Also, many smaller museums use hangers, rather than manikins, to display costume pieces. The cost and space requirements of manikins can be prohibitive and often leave padded hangers as the better option. 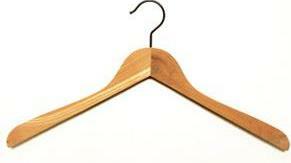 Hangers can be purchased by the box or singly for less than $2 each. Polyester quilt batting and muslin are available at local fabric stores and will add several more dollars to the cost. Link to good online instructions for making padded hangers or learn from the NC Museum of History’s Textile Conservator, Paige Myers, at C2C’s “Textiles Intensive” workshop on April 26, 2012. This post is by Anne Lane, Instructor for C2C’s Box-Making Workshop. A stroll through Collections storage reveals two types of containers. The first is a part of the collection. It might be an artifact itself, such as a lap desk, or it might be a piece of original packing. The latter could be as mundane as a pasteboard box with faded printing, maybe with some sort of official stamp, the flaps loose or torn from careless opening or long use. It could be a velvet-lined box with slots for, say, brass and steel drafting instruments. Unscrew the tiny threaded steel capsule to reveal extra points and leads and those little threaded knobs for adjusting line widths on the beautiful ivory-handled ruling pens. Shift aside a small metal catch in the lid to reveal a compartment holding a brass triangle, a minutely etched ivory scale, a tiny protractor. The other type of conatiner looks pretty dull. It tends to be of either grey or blue cardboard, sometimes with metal-reinforced corners. It might have a short or deep lid, it might have a drop front, it might stand upright for filing documents and photographs. It is made of a special material, free of the short-lived acidic components that make up most traditional packaging. It might even be made of corrugated plastic. 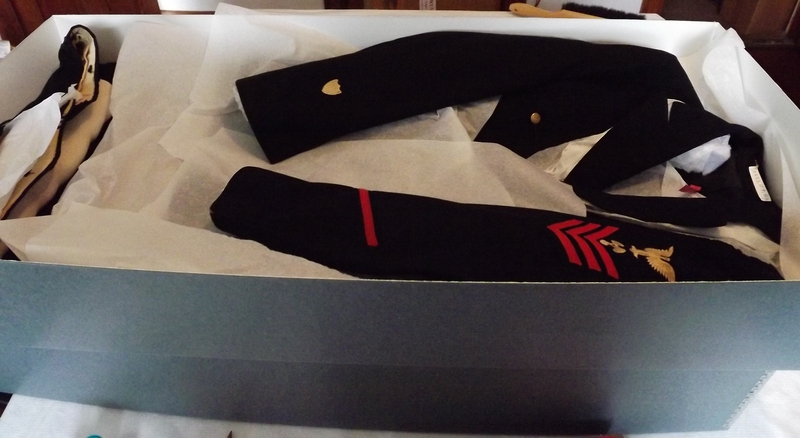 It could have been custom-made to accommodate an odd-sized or fragile collections piece. 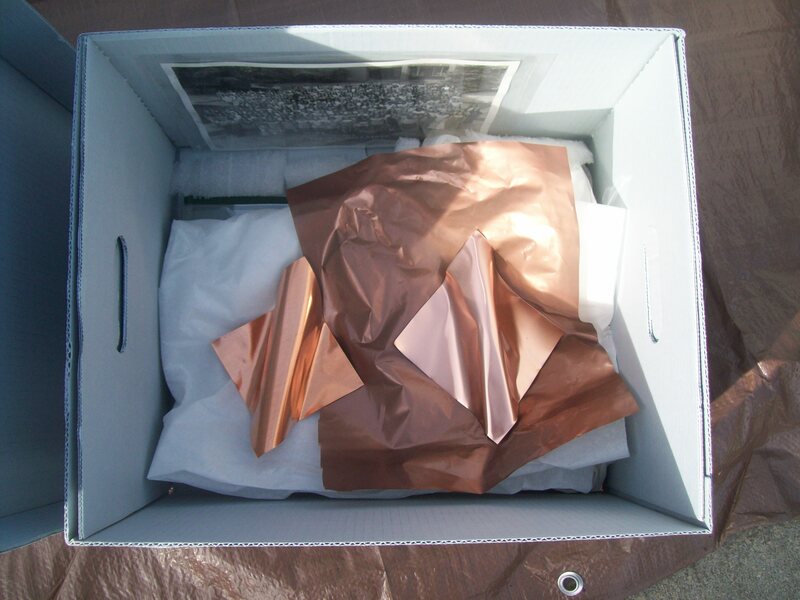 If you open it, you might just find objects sitting in a box, but you are more likely to find at least acid-free tissue or foam padding, stacking trays or dividers. You might even find my favorite type of container here. It houses a single artifact which might have several components. Perhaps it houses something that is very fragile, or even broken. Here you will find the full arsenal of a box- and mount-maker’s passion. Specially designed padding of foam or fiber-stuffed muslin, cleverly glued or sewn or tied in place to support the object in its original configuration. Foam blocks pinned or slotted in place, cotton ties, strategically placed supports. Drop-down sides and removable trays to keep you from having to handle the object when you want to look at it. Directions to tell you how to open the box, how to reveal the object, how to remove it from the mount if you must and how to get it all back together again. These are our little secrets, the things the visitors never see, the labors of love we make when there are no exhibits to put up or interns to train or paperwork to mail. Will they marvel or scoff a hundred years hence when they follow the directions on the lid, lower the flaps, pull out the blocks, and find a perfectly-preserved treasure?